On the final day of the legislative session, Massachusetts lawmakers passed a significant reform bill addressing noncompete agreements and trade secret protection. Passage was years in the making, as the specifics of reform and the need for reform itself have been hotly debated for almost ten years in prior legislative sessions. 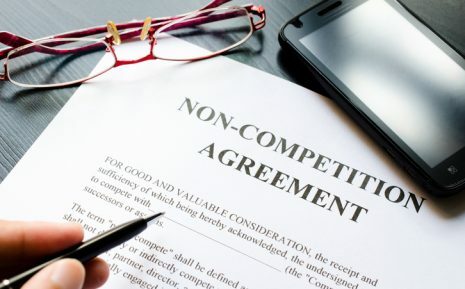 If signed by Governor Baker, the new law will apply to noncompete agreements entered into on or after October 1, 2018; it will not affect previously signed agreements. Twelve Month Limitation – Generally, the term of a noncompete agreement will be limited to 12 months. Prohibited for Certain Employees – Certain employees will not be subject to noncompete agreements, including employees under age 18, nonexempt employees, and students not working full-time. Not Enforceable if Employer Terminates Employee – An employer could not enforce a noncompete agreement against an employee who has been terminated by the employer, unless the termination was for cause. Continued Employment Not Sufficient Consideration – Continued employment alone will not support a noncompete agreement entered into after the commencement of employment. “Fair and Reasonable” consideration will be required. Garden Leave – The employer will need to pay “garden leave” (i.e., compensation to the employee during the period of the noncompete) at a rate of 50% of the employee’s base salary. Alternatively, and somewhat confusingly, the law states that “other mutually-agreed upon consideration” will suffice, with such consideration being expressly described in the agreement. Notice / Timing – For a noncompete agreement entered into at the commencement of employment, the employee must be given at least ten business days’ notice and be informed of the right to obtain advice of counsel. Presumptions of Reasonableness – A valid noncompete must, as always, be reasonable in time, scope and geography, however the law will establish certain presumptions. A noncompete agreement will be presumed reasonable in terms of geography if it is limited to places where the employee, within the final two years of employment, provided services or had a material connection; it will be presumed reasonable in scope if it is limited to the types of services provided by the employee during the final two years of employment. Other Restrictive Covenants Untouched – Non-solicitation agreements and other types of restrictive covenants will generally not be affected. Also unaffected are noncompete commitments included within an otherwise valid separation agreement. The new legislation has not yet been signed into law, and amendments are possible. Even so, employers are advised to be prepared for an anticipated October 1, 2018 roll-out of the law, as written. Employers should review their noncompete agreements and make plans to address the anticipated new requirements. HRW attorneys are available to advise and assist. A copy of the new legislation may be viewed here. For more information or for compliance assistance, please contact Max Perlman or any other member of the HRW non-competition and trade secrets team.